This acidic fruit is ironically an alkalizing power food. They are rich in vitamin C and flavonoids which help to neutralize free radicals and protect us from the flu and colds. Aside from the antibacterial properties, lemon peel also help to reduce the progression of Parkinson's Disease. From reducing risk of heart disease to making us happy, chocolate has been serving humans for thousands of years. This delectable treat, when enjoyed in moderation, reduces LDC, neutralizes free radicals, and also reduces the symptoms of Parkinson's and ADHD. 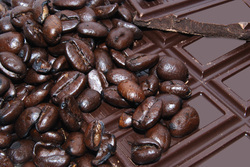 Read about more chocolate benefits. 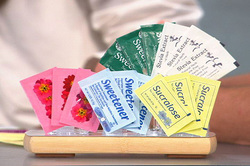 Faced with a rainbow of options at restaurant tables, coffee shops, and the supermarket it becomes difficult to distinguish between these chemical sweeteners. Then there is the media who seems to invent a new disorder caused by these little packets every day. Let us help you make the right choice or convince you to stay away for good!